In December 2017, the United Nations Office on Drugs and Crime (UNODC) released its latest report on opium production in Myanmar and, at face value, the news was good. Since 2015, the area of cultivated opium poppy in Myanmar’s Shan and Kachin states has decreased by 25% to 41,000 hectares. 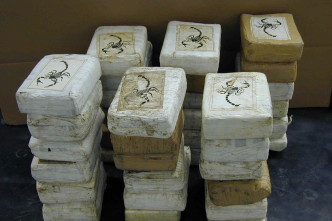 And, for good measure, heroin seizures in China, Cambodia and Thailand increased dramatically over the same period. The Royal Thai Police reported an impressive 278% (264 kilogram) increase in heroin seizures for 2017. Despite this ‘good news’, authorities—especially those in Australia—shouldn’t be too quick to declare that the war on drugs in the Mekong Delta is working or that the organised crime threat there has diminished. The UNDOC survey found that, overall, Myanmar’s poppy fields are producing 15% higher yields compared to 2015, so the reduction in the area under cultivation hasn’t had any impact on heroin supply in countries such as Thailand, China and Australia. Compelling evidence suggests that criminal groups in the Golden Triangle, or at least in Laos and Myanmar, still present a very real threat to law and order and stability. 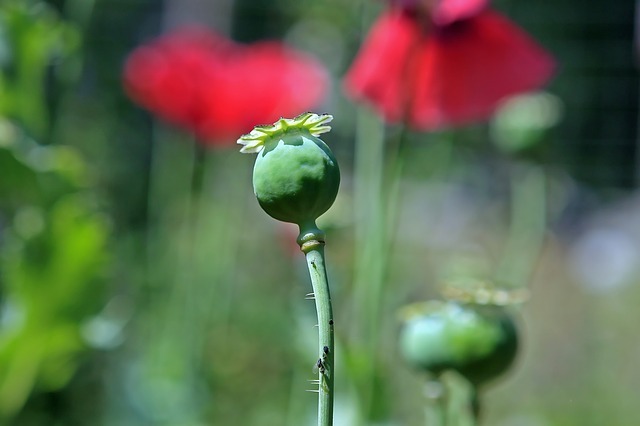 The reduction in poppy cultivation could have something to do with changes in organised crime activity in the Golden Triangle. With user demand for heroin stabilising globally, and Afghan poppy cultivation increasing, many criminal groups in the Golden Triangle are shifting their focus to producing and distributing synthetic drugs. Since 2015, ‘East and South-East Asia have become the leading subregions for methamphetamine seizures worldwide’. The UNODC’s World drug report 2017 revealed that criminal groups in Laos and Myanmar have become significant players in the global production of synthetic drugs (primarily methamphetamines). The numerous ungoverned spaces in Laos and Myanmar provide criminal groups with safe environments for producing large quantities of both low- and high-purity methamphetamine. 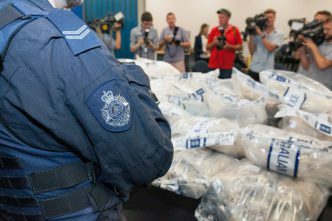 The region’s contribution to Australia’s illicit drug problems has been frequently highlighted in the Australian Criminal Intelligence Commission’s illicit drug data reports. Low-purity amphetamine tablets are sold in many ASEAN countries as ‘yaba’. The yaba market is a low-profit, high-sales-volume opportunity for criminal groups, which produce pills in the tens to hundreds of millions. In 2016, Thai police seized 215.58 million yaba tablets. In contrast, crystal methamphetamine (or ice) is produced for markets in China and Australia. While sales volumes in those markets are relatively low, the profit margins are high. Australia needs a far more integrated whole-of-government response to the law and order issues in the Mekong Delta. 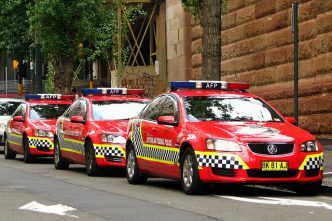 Budget cuts and other fiscal constraints have left the Australian Border Force and Australian Federal Police presence in the region sadly lacking. It’s critical that the newly established Home Affairs portfolio’s first international engagement strategy focus on enhancing police-to-police cooperation in the region. That should start with rebuilding the ABF and AFP presence in Thailand, Laos, Myanmar, Cambodia and Vietnam. The main facilitators for organised crime activity and drug production in the Mekong Delta remain corruption and foreign bribery. Home Affairs, in partnership with the Department of Foreign Affairs and Trade, could work on developing a more comprehensive framework to strengthen anti-corruption programs in the region. A specific focus of that effort could be collaboration with the UNODC on implementing the United Nations Convention against Corruption across ASEAN. Home Affairs could also consider how it might contribute, alongside the Attorney-General’s Department, to enhancing mutual legal assistance (MLA) agreements and processes with Mekong countries. MLA is essential to the disruption of transnational organised crime and indispensable in the fight against corruption and foreign bribery. Yet my experience in Myanmar and Laos has been that MLA processes are still not well understood by investigators. The porosity of the Mekong Delta’s land and water borders makes it difficult to detect and interdict global illicit drug supply chains. Australia’s strengths in border governance and surveillance could help agencies across the region. Australia could focus on encouraging interagency and bilateral information-sharing at border crossings. These suggestions have the potential to disrupt the supply of illicit drugs originating from Myanmar and Laos, but they don’t address the underlying development problems in the region. As long as farmers can make more money from opium poppy than from other crops, the problem will continue. 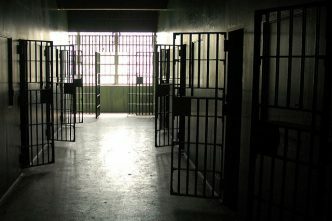 And as long as criminal groups can act with impunity in permissive environments, nothing will change. In dealing with these issues, lessons learned from Thailand’s successful opium poppy eradication programs of the 1980s could be a starting point for policymakers. However, when it comes to the large-scale production of synthetic drugs, enhancing the rule of law remains one of the very few viable options. John Coyne is the head of the border security program at ASPI. Image courtesy of Pixabay user Meditations.